Each month brings the waxing full moon. At its peak, magic is performed. This months full moon circle was lead by President Muad’Dib on Saturday, May 12, 2012. President Muad’Dib took the guests through the workings and honoring of the moon. 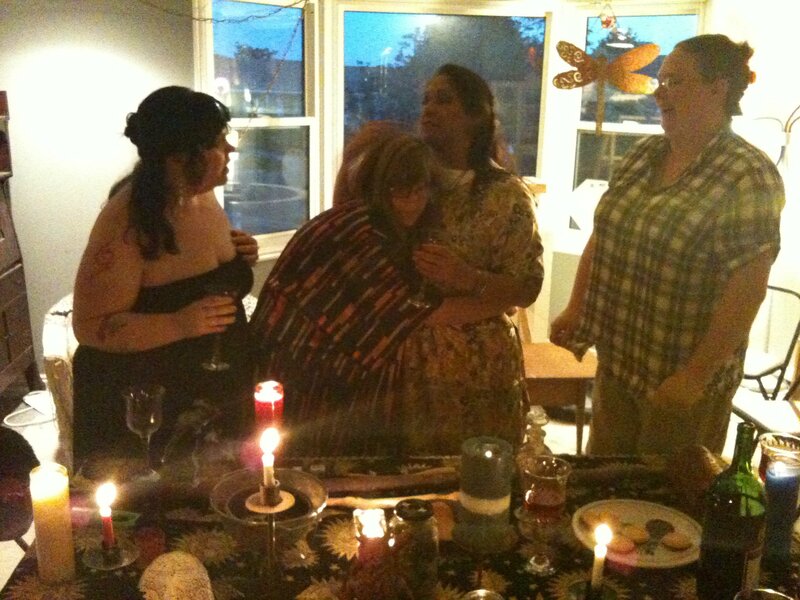 The guests then drew down the energy of the moon to cleanse several items, one of which was a new wand. Some of the folks who attended needed additional forms of energy work. A fire was lit and energy, goals and ambitions released with the burning of paper. Afterwards, President Muad’Dib divined the future by what he saw in the ashes. “We always feel so welcome and so uplifted at these rituals. I felt so much better afterward. I really felt I had accomplished what I set out to do this night in my magic” commented Sharon Pellum.